Lovely beautiful Queen to go with friends, but she did not know what to wear good clothes, as Like Queen up to you, come for her to choose beautiful and stylish makeup, clothes, Hair, dressed her as the most brilliant one It! 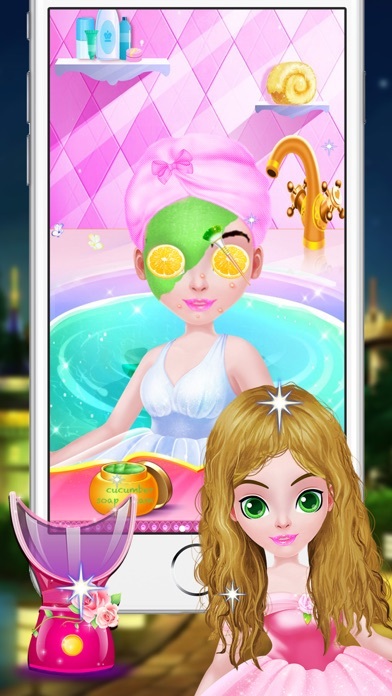 All the hottest clothes, shoes, bags and dresses are yours to play with in Pretty Little Queen Makeover for girls. Design the most chic fashions in your spa, choosing from the best bags, hair, shoes, clothes, skirts and dresses for your little models. Queen girls its time to fulfil your dreams to makeup a little Queen. You can give a facial massager and then cleanup face pimples of little Queen. 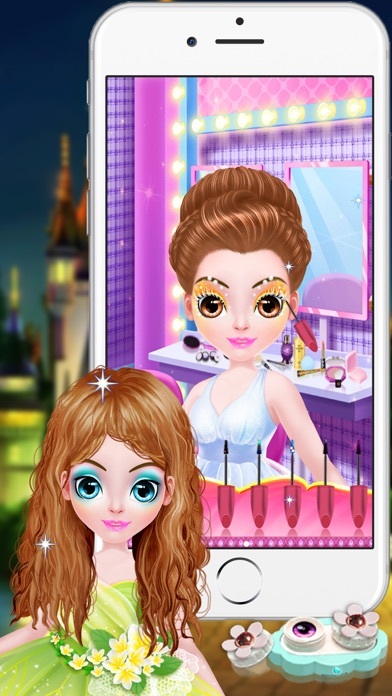 Create exciting hot new looks and show off your sense of style and fashion princess with this awesome game.Feel the real experience of makeup with some items especially designed for special occasions like a barbie fashion and much more. Features : - • Queen Spa Section - Treat yourself to the ultimate spa experience with soothing facial masks, cool cucumbers cube for your eyes, and even a steaming treatment with Powder! - Everyone wants to look pretty, and your spa has the tools to do it. 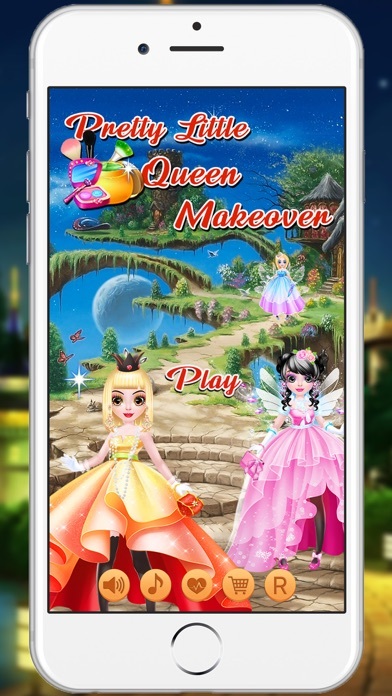 • Queen Makeup Section - Fix hair, care for skin, and paint perfect makeup! Design glamorous eye makeup using eyeliner, eyeshadow, and accessories! - Add makeup, accessories and jewellery to each barbie doll. 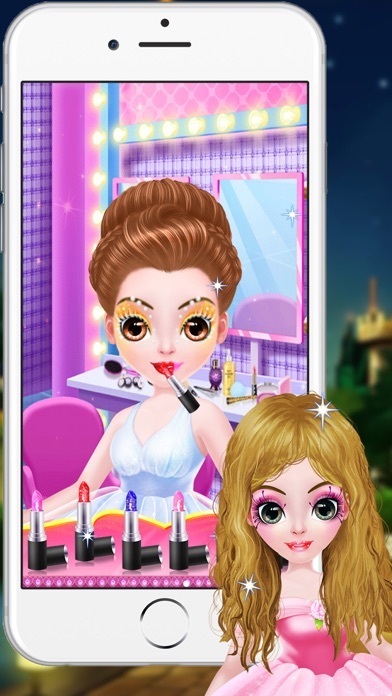 - Real makeup tools: earrings, necklaces, Wings ,tiaras and more • Queen Dress Section - dress like white sundresses with maxi designer dress and outfits and cute trendy hairstyles for trendy girl. - Play with hair like hair transplant and hair restoration. - Complete beauty makeovers at your fingertips! - save & share your perfect little queen easily over Facebook or twitter with one click. 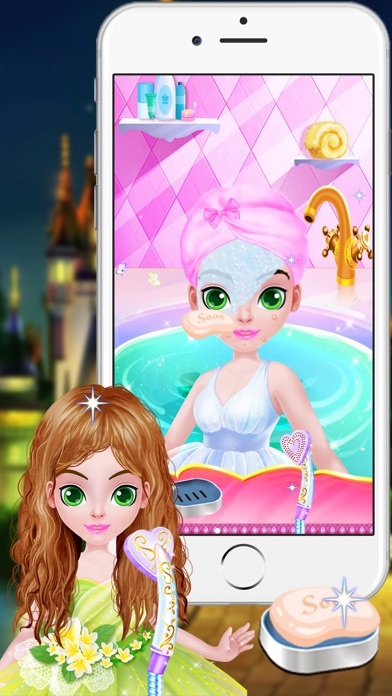 How To Play :- - Spa section to wash face and clean up face pimples with set eyebrow. - Makeup section eyes lens, eyeshadow, eye's papan and Lips then many more options clean face beautiful little Queen look. 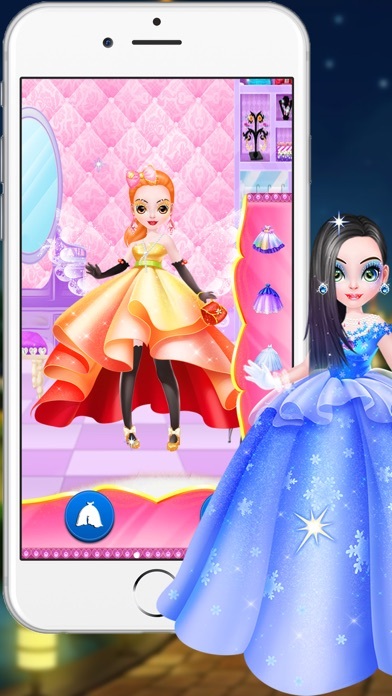 - Touch the screen to enter the main interface, then you can select the dresses, Lens, bag, earrings, necklace, socks, gloves, shoes, crown and more accessories for Queen. - Show up at the royal Party event looking fantastic princess. Download and enjoy free games, don't forget to write your precious review & rating this would help us a lot!